Featuring two wonderfully talented local musicians, Bridget Pearse and Wendy Staal, and Royal Philharmonic ‘cellist, Roberto Sorrentino, Extreme Baroque relish the clarity and precision of Baroque music. Playing Bach and other masters of the baroque in the clear acoustics of Sladers Yard, this will be a treat to cleanse your ears and uplift your heart. Wendy Staal writes: ‘We are playing a really early work in this one (Farina – 1626). It is a completely different world of sound and we have decided to use Baroque bows for this and also the Merula and Reali, which is quite exciting for us. We are also continuing our work with Bach’s Goldberg Variations, adding some more variations to our repertoire.’ Those who came to Extreme Baroque’s last performance at Sladers Yard will know that this is a longterm project to interpret and play the whole of the Goldberg Variations. 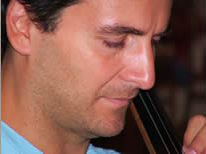 Roberto Sorrentino – ‘cello – was bom in 1965 and began playing the cello at the age of 11. After graduating from the Royal Northern College of Music where he studied with Donald McCall, he spent a year in Portugal playing with the Gulbenkian Chamber Orchestra. He then went on to do further study at the Banff Centre of Fine Arts in Canada. Roberto has freelanced with many of the London Orchestras including the BBC Symphony Orchestra, The Academy of St. Martin in the Fields and with the Scottish Chamber Orchestra. Roberto was sub-principal cello in the Bournemouth Symphony Orchestra for twelve years and now plays in the Royal Philharmonic Orchestra. He also plays regularly as the cellist in the “Kokoro Ensemble” which specialises in contemporary music . 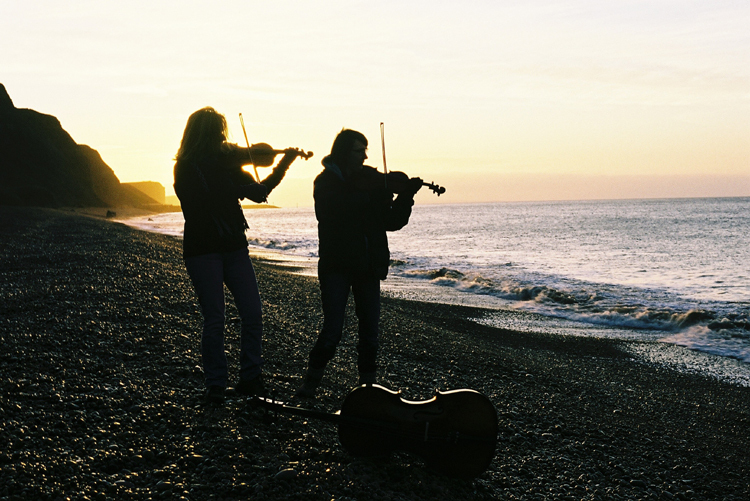 He plays in various chamber music ensembles performing throughout the South of England. Roberto plays on a Joseph Hill cello dated 1768. Bridget Pearse was taught the violin from the age of 11 by Joyce Preston in Cornwall. Quickly developing a love of chamber music, especially Baroque, at St Anthony and in chamber orchestras, at 16 she gained a place at Wells Cathedral School to study the violin and viola. A regular member of the Bolerian consort in Cornwall, she has continued to play music of all kinds, including a lot of improvisation. Now living and teaching in Dorset with her two daughters, she has worked on many local projects including Nikki Northover’s dance shows, and Burton Bradstock’s music festival. She has worked with major recording artists and played for Channel 4 ‘s 4 minute wonders. Yet it is Baroque music that remains a passion for her. The music just makes sense! Wendy Staal was given a violin at school in Somerset when she was 9 and received free group lessons until she was 14. At 15 she began lessons with Tom Shearman gaining a place at the Royal Academy where she received many hours of tuition from the Amadeus quartet. This led to her becoming second violin of the Navarra quartet and a residency at Reading university. Wendy subsequently became leader of the Kyros quartet and combined frequent recitals with a career as a professional freelance violinist in London. In the late 90s Wendy was increasingly drawn to the integrity and passion of Baroque music and after studying with Judy Tarling played with the Linden and Essex Baroque orchestras on authentic instruments. Wendy has always been dedicated to teaching the violin to anyone who wants to learn and spent many years tutoring at the East London Late Starters Orchestra, during concert intervals she would give members of the audience their first violin lesson. Wendy moved to Bridport with husband Marc and daughter Georgia in 2004. Their son Sacha was born in 2008. She has been conductor of Allington Strings since 2007. Please phone 01308 459511 to book.